This article explains how to map a network drive to your computer. Navigate to Start -> Computer. In the computer screen at the top click on "Map network drive". 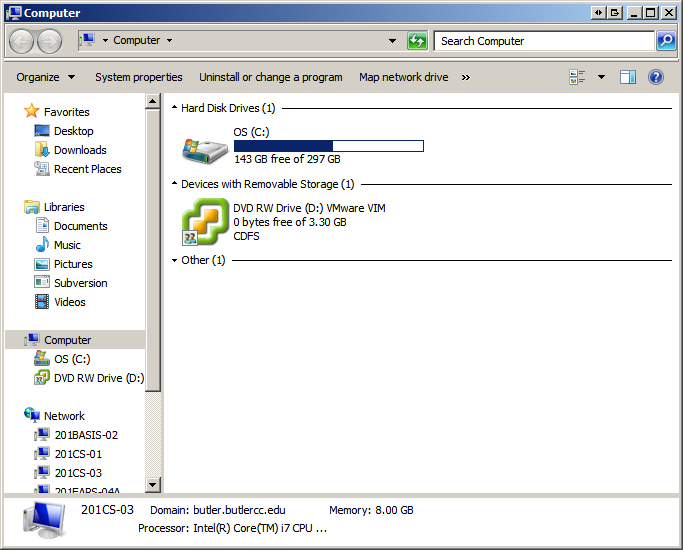 In the Map Network Drive dialog box select a drive letter not currently used on your comptuer. Click on the browse button and navigate to the folder location on the network. The network folder is now mapped to your comptuer. You may add a shortcut to your desktop by left-click dragging to your desktop. This page was last modified on 16 September 2013, at 09:56.